While you may have visited or lived in other states where pot is legal — such as Colorado, Oregon and California — Vermont's cannabis laws differ in significant ways. So before you light up in the Green Mountain State, here's the straight dope on what you can do here and where — as of this September 1, 2018, writing, anyway. If weed is legal in Vermont, why can't I find a dispensary to buy some? When the legislature legalized marijuana earlier this year, the law — Act 86 — included no provision for setting up a taxed-and-regulated retail marketplace. Though pro-pot activists predict it'll inevitably happen, for now Vermont's cannabis consumers must grow their own or buy it on the black market. That said, while selling weed is still illegal, gifting it is not. How and where can I grow my own pot plants? Act 86 allows Vermonters to cultivate up to two mature (i.e., flowering and budding) plants and up to four immature plants per household. However, the plants must be kept in a private and secured enclosure away from the prying eyes and fingers of children and bored teenagers. 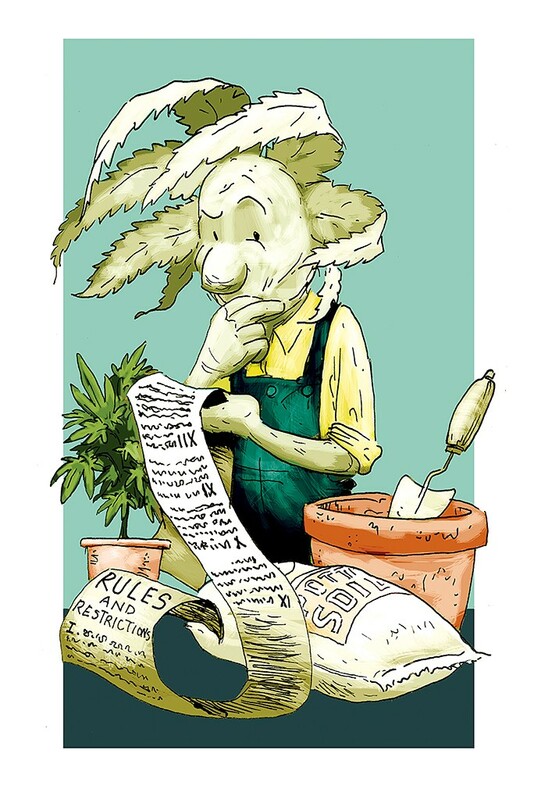 For renters, home cultivation is fine provided you get written permission from the property owner, who may forbid it in a lease agreement. Generally, college dorms and public housing facilities do not allow it. In short, ask before you invest in expensive grow equipment. How much weed can I have on hand at a time? A dime bag? An ounce? A pound? Whoa! Slow your joint roll, Cheech. Act 86 allows adults 21 and older to possess no more than one ounce of marijuana, or five grams of hashish, in public, not including plants that are still in cultivation. (Why does the statute refer to English units for pot and metric units for hash? Because that's how those products are typically sold on the black market.) Getting nabbed for smoking a doobie in public is a mere civil violation, not a criminal offense, and can result in a fine of no more than $100 the first time. A first offense for exceeding the one-ounce/five-gram limit can score you up to a $500 fine and six months in the slammer, with fines and jail times increasing for subsequent offenses. OK, so where can I get high? Can I still get busted for weed in Vermont? Yes! In addition to the possession limits on cannabis plants and products, weed is still illegal under federal law, which means that possession, sale or consumption in places owned or overseen by the feds — airports, military bases, federal offices, courthouses, post offices, prisons — is still a no-no. Also, if you're caught driving while high — most Vermont police departments now employ drug-recognition experts who are trained to spot your buzz and can seriously harsh your mellow — the legal consequences are equivalent to getting caught driving drunk. Ditto for operating a snowmobile, bicycle, boat, ATV, ride-on mower or other motorized vehicle while stoned. 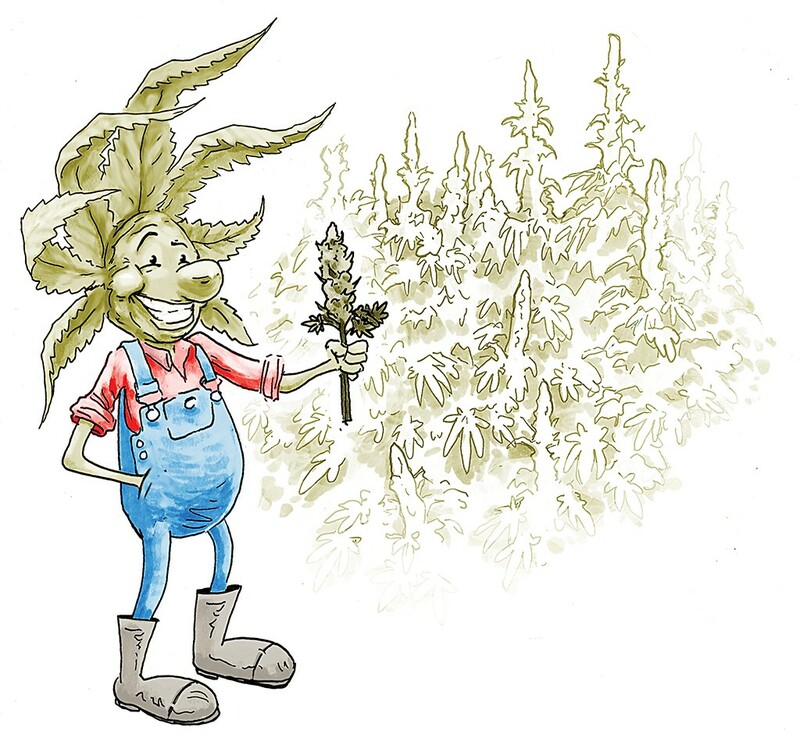 Why do many Vermonters now call it "cannabis" and not "marijuana"? In the early 20th century, the foreign-sounding word "marijuana" was tinged with racism and xenophobia due to the drug's popularity among Latinos, African Americans and other people of color. Today, the industry typically uses the less stigmatized and more botanically accurate term "cannabis." Also, many cannabis-industry professionals prefer the phrase "adult use" to "recreational" cannabis, as it encompasses the plant's many clinical and therapeutic applications, too. How do I learn more about Vermont's cannabis culture? Burlington has a plethora of 420-friendly businesses, including smoke shops, glassblowing classes and horticultural programs, whose staffs are happy to answer technical questions about cultivation, processing and consumption. The University of Vermont's Larner College of Medicine now teaches classes in cannabis science and medicine, which include online webinars available for free public viewing. Finally, Seven Days runs Cannabeat, a web page and newsletter devoted to news, arts, food and business stories about Vermont's budding cannabis industry. Learn more at sevendaysvt.com/cannabeat.